When you contract for any business, you should know what you are getting. If you find a business that offers more than you expect, that’s a plus. For example, if you are in the market for excavation services, you might think it’s just digging, but there is so much more. More than anything, business should offer honesty, productivity and smart decisions. They should also be a well-rounded business that can offer you anything you might require to bring a project to completion. That’s why it’s so important to know that excavation services offer more than just digging. To fortify a foundation – for any new home or building, the first step is digging a hole large enough to secure a strong foundation. To restore your property after a disaster – major storms can wreak havoc on an area. 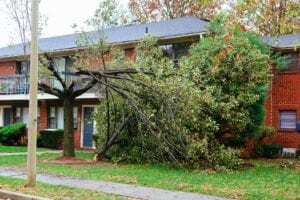 Fallen trees and structures that have been blown down can leave your property or access roads blocked or uninhabitable. You might also experience flood damage, which can create erosion or drainage issues. Having standing water on your property is never wise as it can damage your land and breed insects. You may need excavation services to clean up the area as well as minimize any future risks. To clean up an environmental contamination – a leaking underground storage tank or a malfunctioning septic system can pollute the soil and eventually affect the groundwater for other nearby homes or businesses. If this occurs on your property, it must be handled right away, typically using excavation services. To install or repair underground pipes – let’s face it, pipes often leak. Those located underground require excavation services to reach them so they can be repaired. You may also need to install them in the first place. To remove trees or other unwanted materials – there are many reasons why you might need to have trees removed. They could be threatening existing structures or be in the way of new builds. You might simply want to gain more usable space for recreation or landscaping. There are perhaps just as many methods for getting rid of undesirable trees but nothing is as effective as excavation services. To even out uneven land – grading or adding slope might be necessary for construction projects or drainage improvement. Professional excavation services can give you the right contouring for your property to be more attractive and efficient. To dig sewer lines or ponds – if you are installing a pond, excavation experts are especially necessary. They will determine high and low areas, create the right slopes and account for winter temperatures. Sewer lines can also pose huge challenges. Backups, blockages and even tree roots make this work particularly demanding, which is why you should only trust experienced contractors. To add a basement – building down is perhaps one of the most complex construction projects. If not done right, it can actually cause the kind of structural collapse you should only see in the movies. It takes an excavation services firm that is qualified, experienced and insured. To get rid of a swimming pool – some people dream of owning a home with an in-ground pool. Others consider it to be an expensive, dangerous money pit. If you are in the latter category, pool removal might be in your future. There is more to this project than just filling in the hole. Sunken land, poor drainage and leaks are just a few of the issues that can occur if it is not handled properly. It should be removed without a trace that it was ever there and that takes the professional touch. Do it yourself projects have become almost a way of life for many people. There are numerous sources online that show you how to do everything from building your own computer to flushing out your water heater. Excavation services should not be one of them. For one thing, excavation is dangerous work. Without the proper tools, training and equipment, you could end up causing irreparable damage to your property or seriously injuring yourself. 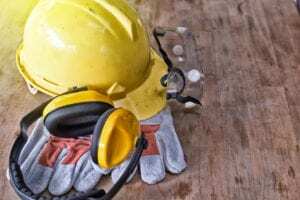 Some people believe they will save money by handling these types of jobs on their own or hiring a contractor who does not specialize in excavation. You will only waste your valuable time by working with amateurs. In addition, handling excavation services yourself will end up costing you more money in the long run. If it’s not done right or you make a mistake, you will have spent money doing it wrong and then additional money to fix it correctly. What else is involved in excavation services other than digging? To get your project off on the right foot, there is work to do before the real work begins. Inadequate site preparation can cause unnecessary delays and increased costs. This work may involve soil testing, zoning restrictions, and plan designs as well as site surveys and investigations. When it comes to excavation services, experience is everything. For instance, professionals will know the right approach to take in order to preserve the safety and sturdiness of the land once the work is complete. Also, there are different types of soil and each reacts differently to excavation. That may be nothing compared to what’s underneath the top soil. A top quality contractor will have experience working with all kinds of conditions to give you the best possible outcomes. In excavation work, there is more to be concerned with than just the land you are on. The surrounding area, neighbors and other nearby structures must also be considered. Heavy vibrations can cause damage to buildings in close proximity of your project. Professionals will ensure that work can be done with as little nuisance and mess as possible. In most cases, you can’t just go digging willy-nilly. There are usually laws and codes that must be obeyed. If you run afoul of these guidelines, you may face fines, lawsuits and even orders to put things back the way they were. Your contractor will be aware of aspects such as the various building codes to follow and how much advance notice to neighbors is required. Experienced contractors already possess the proper safety equipment for any situation. When conducting an excavation, you never know what you will encounter. Trenches can collapse, material can fall, and adjacent structures could prove to be unstable. These things can injure or even kill you if you are not prepared with the right tools and safety procedures. Worse yet, if you use an unlicensed, uninsured friend or contractor, you will be liable for these disasters. It’s also worth noting that your own property insurance might not cover you in the event of such an accident. Having the right equipment for the job is vital for project success. You may need a bulldozer, excavator, loader, backhoe, dump truck or any combination of these. Still, you must know which ones and what size you need. How much time and money it will take to transport this machinery to your site is also a consideration. Digging up all that dirt or other materials is only half the battle. You must also have somewhere for it to go. It can’t just be dumped anywhere you please. Once the work is completed, you will want the site cleared right away so you can move forward. Most areas have rules and regulations regarding different kinds of waste and how it must be disposed. And they are not sympathetic to those who dump illegally or improperly. You could be subject to expensive fines or penalties. There may also be environmental concerns, such as hazardous materials or trying to recycle as much as possible. Research shows that construction and demolition waste accounts for approximately 40 percent of total waste in America. That amounts to about 170 tons of debris every year. It has also been determined that more than 70 percent of this waste could be recyclable. Just when you think your excavation project is complete, there is still work to be done. You should have the area inspected to be sure there are no hidden dangers left over. These could include spikes, glass or hazardous materials. Getting a reliable, competent excavation services team for your project may be one of the most important choices you can make for your home or business. Choose wisely. Look for contractors that have tons of experience in performing the type of work you need. They should also have a good reputation, fair pricing and the proper bonding, licenses and insurance. Excavation projects take experience and training. 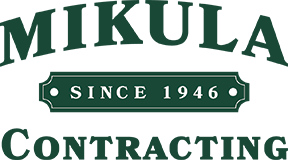 Mikula Contracting handles foundation and construction excavation as well as rock removal and trench excavation. You can trust us for all your excavation needs. We service Essex, Passaic, Hudson, Bergen, Union and Morris counties. Call today for a fast quote.